The great Seventh Avenue space swap that brought Brooklyn Industries to the corner storefront at Seventh Avenue and Ninth Street and relocated Urban Optical to space that once housed a salon, is now somewhat complete. Brooklyn Industries is now in its new digs. 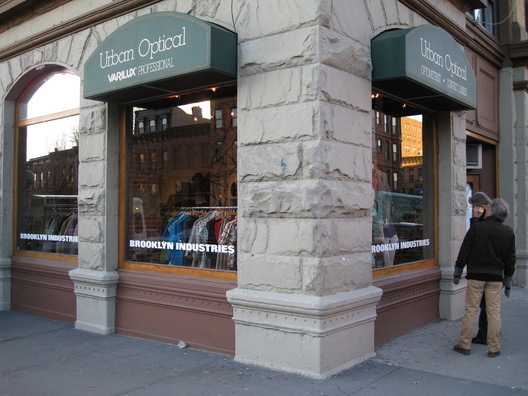 Urban Optical is in its new space. All that remains now is for the former Brooklyn Industries space, which was a bread shop called Uprising for a while.